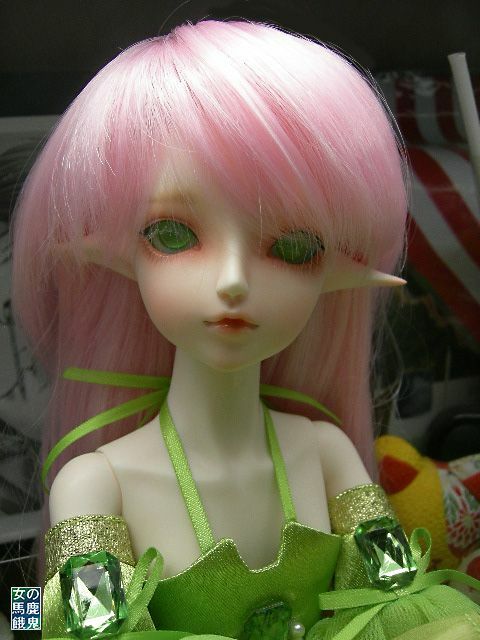 My new Dikadoll Rena Elf fullset arrived Wednesday, 4/3/13. She did not come with the boots, which was disappointing. Fullset usually means everything in the photo, including boots. Stupid Dikadoll. While her default eyes were a beautiful light green with pink flecks, I had purchased eyes matching the default photos because I liked the look. She DID come with three extra sets of hands and a sleeping (blank) head!